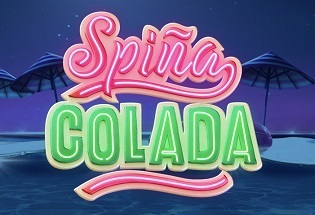 Spinit is licensed by the UK Gambling Commission and the Malta Gaming Authority. Combined with customer support over 24/7 live chat and telephone service, Spinit is on hand to help you with problems, questions or issues that you encounter. Without exaggerating, Spinit truly offers one of the best experiences for online casino users across the internet today. Their site is so smooth and sleek, and it’s just so easy to find everything that you could ever wish for in no time at all. There is a host of filters for the games on offer and a search bar so you can find your favourite game instantly, the promotion page is easy to get to and the offers are explained simply and concisely, and the support team (which is efficient and professional) is just a click away on the homepage. They even have an App on the Apple App Store. Across any device, this is just a great place to game. 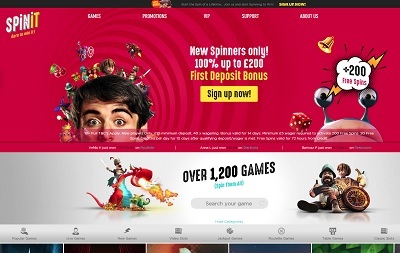 Spinit offers a delightful welcome bonus with a total of £1,000 + 200 free spins available on your first four deposits. 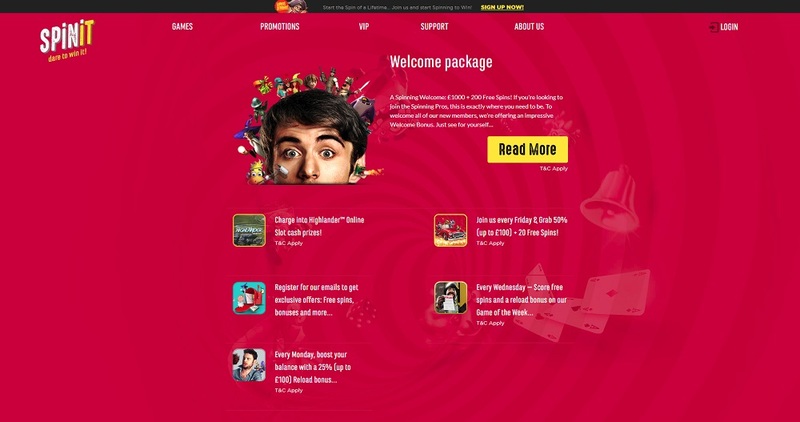 On your first deposit, you’ll be met with 100% match bonus up to £200 plus 200 free spins. On second deposit you’ll get a 50% match up to £200. On third a 25% match up to £300. And fourth a 25% match up to £300. But just like the best casinos, Spinit don’t stop with the bonuses there. Every Monday you’ll be privy to a 25% match bonus up to £100, every Wednesday you’ll score free spins and a reload bonus on the ‘Game of the Week’, and every Friday you’ll be welcome to a 50% match bonus up to £100 plus 20 free spins! Spinit offers most of the popular payment methods including Visa, Mastercard, Euteller, Skrill, Neteller, Trustly, and many more. Withdrawals take between 1 to 7 days to process using any payment method. The minimum withdrawal is £10, and a minimum deposit of £10. The maximum withdrawal and deposit limit is £5,000. 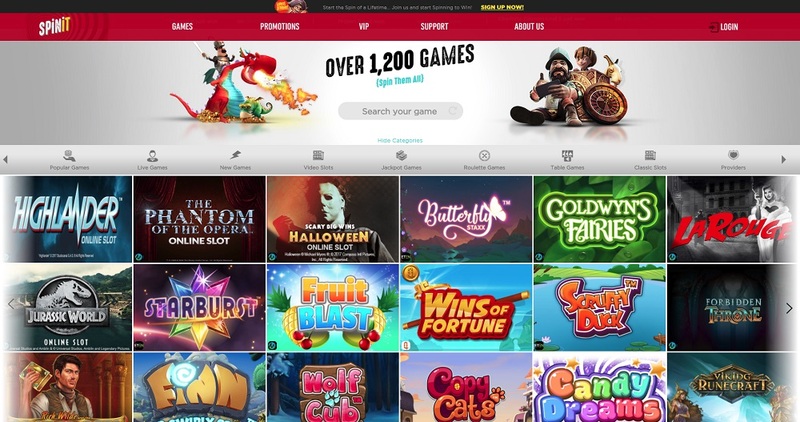 Spinit is home to a humungous 1,200 games with all kinds of themes. Just for live-dealer, there is an incredible choice of 60 games with all kinds of traditional Baccarat, Blackjack, Poker, Roulette games and variants plus the likes of Dreamcatcher too. 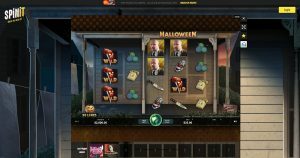 Of course, there are the traditional video casino games as well, plus an enormous selection of slot titles which seems to cover basically every slot game that you’ve ever seen online, including the millionaire-making Mega Moolah and Mega Fortune. There are also masses of instant-win games, scratch cards, and virtual sports. 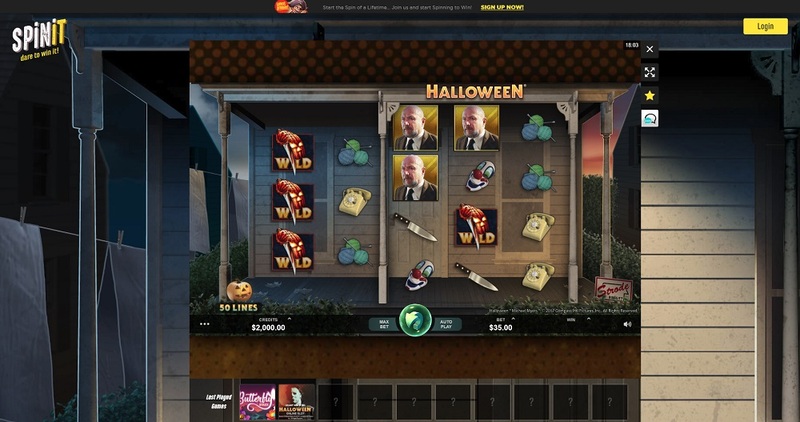 Spinit is taking the online casino world by storm. It’s one thing offering a host of games, but it’s another thing to back those games up with a site that delivers a rich and fruitful user experience. Spinit does that in abundance. The navigation is fantastic, the loading times are instantaneous, the support team is magnificent, and the promotions are wonderful. Spinit just has nothing that lets it down, and despite only launching in 2016, has already established itself as one of the best casinos out there. Even the banking methods are great. 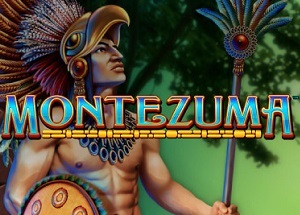 This is an all-round casino which is perfect for slot lovers, table game lovers, and just online casino lovers in general.